Acer's Predator X27 display combines G-Sync HDR, a 4K resolution, and a 144Hz rate to make what in theory will be one of the best gaming displays on the market, though it probably won't be cheap. Acer announced on Thursday that they had a new flagship gaming display at its annual [email protected] event, the Predator X27. With 4K, HDR, a wide color gamut and high refresh rate, you can bet that this is a top-tier display for those who spare no expense when it comes to their gaming technology. 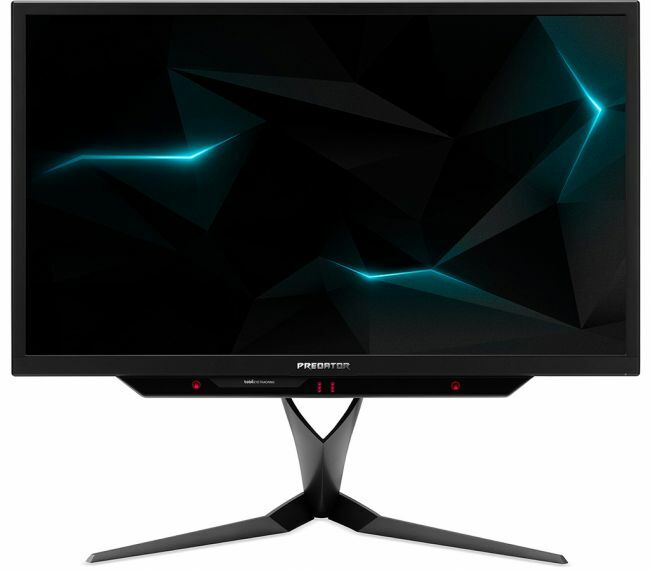 For gamers, the Predator X27 ticks just about every box, sporting 4K resolution, a 144 Hz refresh rate, up to 1000 nits of brightness, and a direct LED backlighting system with 384 zones. It also supports Nvidia’s G-Sync HDR and Tobii eye-tracking. As of today, it’s one of the few 4K displays announced that support both a high refresh rate and HDR10 and Nvidia’s G-Sync HDR tech. Other specs are also equally impressive; the screen has a 178 degree horizontal and vertical viewing angles and a 4 ms response time. Predator X27 buyers will want to have a GeForce GTX 10-series GPU in order to make use of the DisplayPort 1.4 connector. The bandwidth requirements for the X27 actually exceed the capabilities of the DisplayPort, which means that the monitor will use subsampling to cut down on bandwidth. Acer has not announced a price or release date for the X27 at this time.